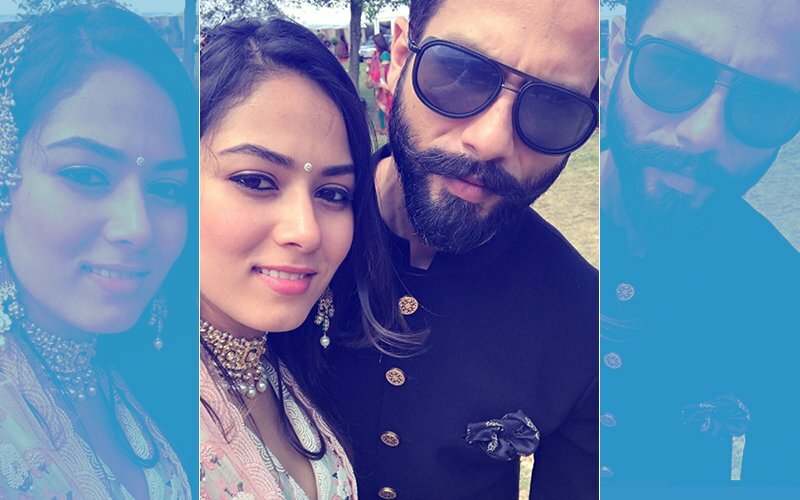 YOU GOOFED-UP: Mira Rajput’s 3 Latest Appearances Which She Should NOT REPEAT! Here’s a brand new fashion dose for our readers. ‘You Goofed-up’ is about our Bollywood celebs who unfortunately slip while running the tough marathon on fashion track. 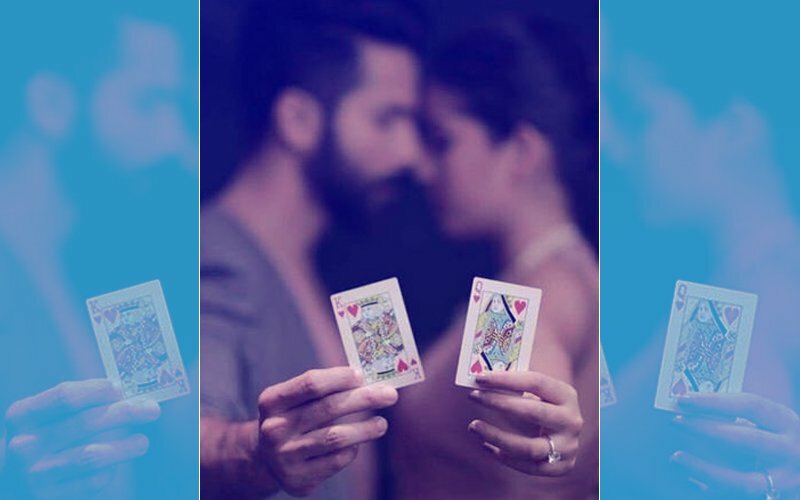 We understand, all days cannot be same and in a competitive glamour industry like Bollywood, it’s just fair to do some goof-ups. Not holding them by neck, BUT here’s what we feel about few of these celebrities’ appearances, which they can totally AVOID. 1. GYM WEAR GONE WRONG! Mira, how about giving that black knotty tee a miss, next time you decide to hit the gym? We love you in your casual do but not this one for sure. 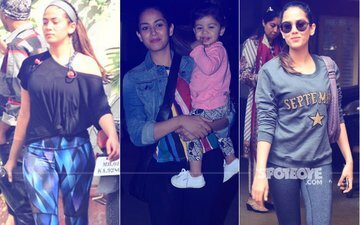 That September sweatshirt has a star, rightly placed - it is quite awesome but waist down, things topple for Mrs Kapoor. The idea of pairing a denim jacket with black leggings is passable but the tee hurts our eye. Sigh! 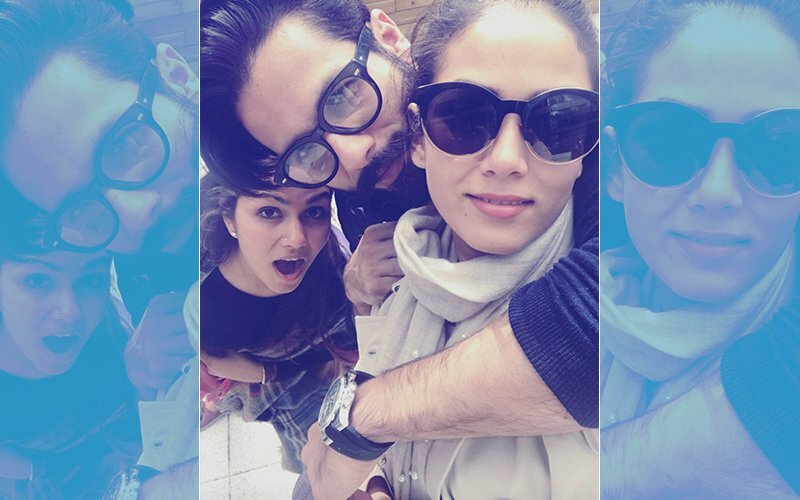 Shahid Kapoor & Mira Rajput, STOP Being So Cute You Guys!